On average, truck drivers take home a nice check. In 2017, truck drivers in the United States earned 56 cents a mile, $21.97 an hour, or $44,500 a year, significantly better than recent minimum wage initiatives. If a truck driver is lucky enough to be one of the 8,000 that carry loads for Walmart, they’re taking home a wow-worthy $86,000 in his or her first year. Now, Walmart’s truckers’ deal is about to get a lot sweeter. 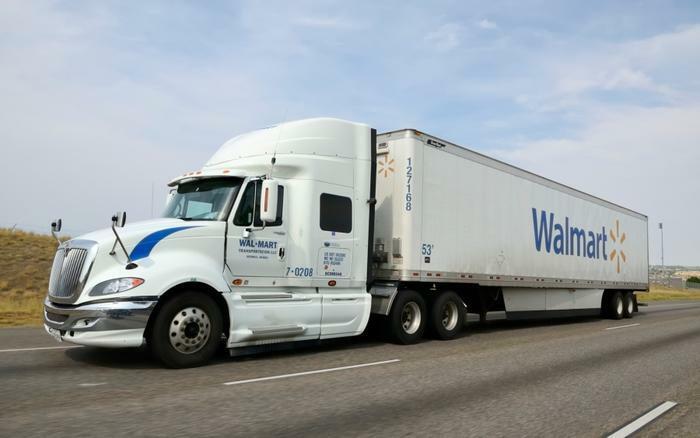 On Wednesday, Walmart announced that its fleet drivers will get a penny more a mile plus an extra $1 each time they drop off their trailer at a designated location. Drivers in the Northeast are on tap to get a 5 percent raise on both mileage and other trucking activities. If you’re scoffing at that penny raise, don’t; that’s because it adds up to about an extra $1,500 a year. And, while you’re at it, tack on perks of 21 days of paid time off and quarterly bonuses. One thing you have to keep in mind is that Walmart is upping its investment in self-driving trucks which, if successful, could save the company millions. CleanTechnica reported that fuel savings for Walmart’s self-driving trucks could be as much as $200,000 for every million miles traveled. With the company enjoying its biggest sales results in a decade, Walmart is putting the hammer down to fill hundreds of job openings fueled by that growth. Fancy yourself a truck driver? To qualify for Walmart’s onboarding, drivers have to have 30 months of experience in the past three years under their belt and a clean safety record to boot.